I am pleased to introduce a new design for the Mormon Mission Prep website. The site has a cool new look and feel, a new logo, a responsive (mobile friendly) design, a restructured menu for easier use, and other upgrades. Responsive (mobile friendly) design: Mobile traffic to my site has doubled each year for the last few years to the point where mobile devices now account for 30% of the total traffic to the site. This new design detects the size of the user’s screen and customizes the layout of the site accordingly, so mobile phones and tablets get an experience more suited to their smaller screens. This will make browsing the website while you’re on the go much easier. 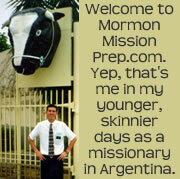 New Logo: Mormon Mission Prep never has really had a logo in the past, but I have felt recently that we need one. I reached out to my friend Alan Taylor to help create a logo for the site, and the star with the M embedded was a stroke of genius. Thanks so much Alan! 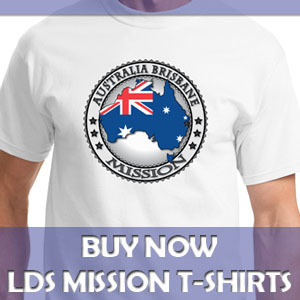 Alan runs a website called 18nineteen.com which sells really cool Mormon missionary themed t-shirts. Be sure to check it out. There were many other structural and technical upgrades I made to the site, but I won’t bore you with those details. Overall, I think you will find the site much improved from a functional and visual perspective. I believe I have most of the bugs worked out of the new site, but if you find any, let me know in the comments section. Be sure to tell all of your friends about the new Mormon Mission Prep. Thanks! Wow, nice, clean design. Just keeps getting better! 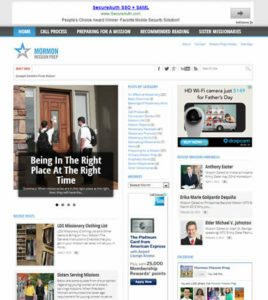 Missionary Clothing List How is the Next Prophet Chosen in the LDS Church?